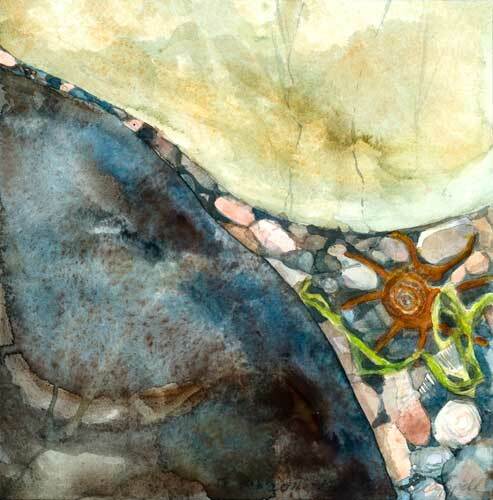 In her book, The Edge of the Sea, Rachel Carson writes about "the difficult world of the shore" in which "life displays its enormous toughness and vitality by occupying almost every conceivable niche." 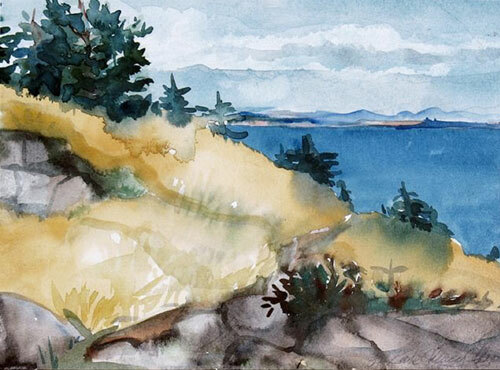 Exploring these niches is my great pleasure on Monhegan Island, where I spend my summers. 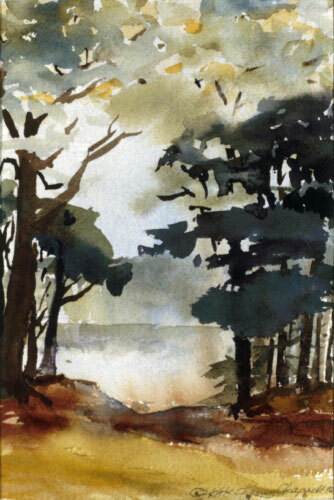 Walk in any direction there and one finds the edge of the sea. 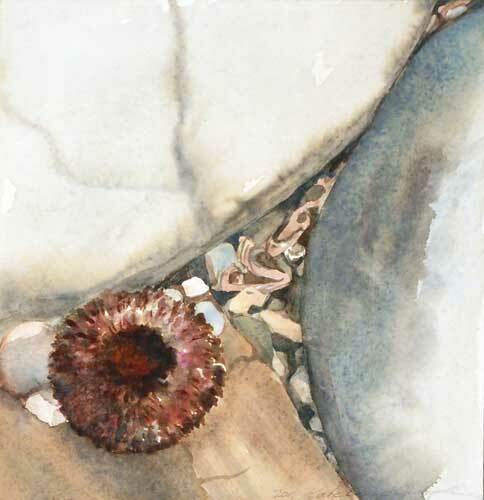 I want nothing more than to sit on those granite ledges lapped by waves, with my backpack of paints and brushes at my side, looking down into a microcosm teeming with life, or at the patterns of debris caught in a crevice. 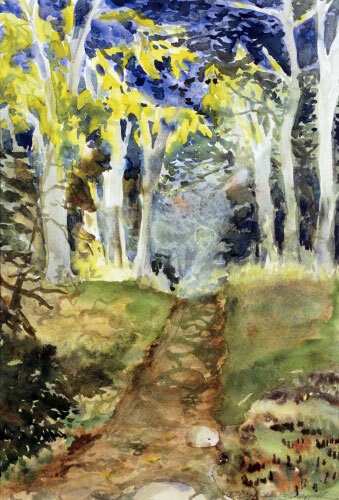 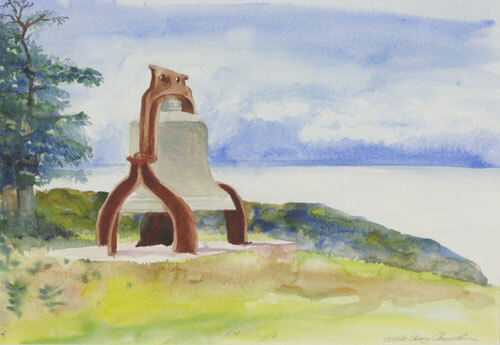 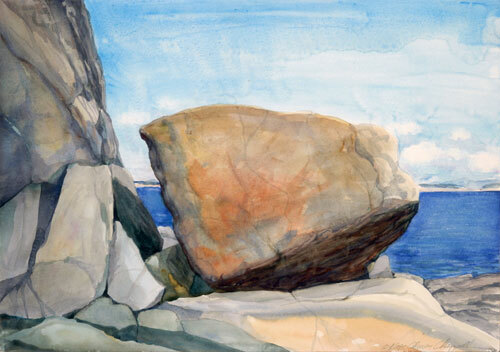 Watercolor is an ideal medium for the plein air painting I do in the summer on Monhegan Island, 12 miles off the coast of Maine. 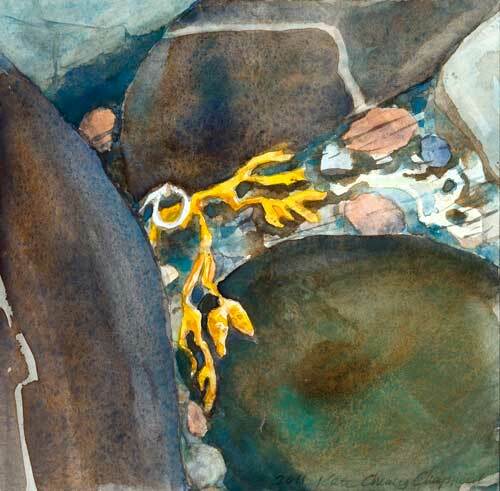 It is my soul place, a community of artists and fishing families who support one another and live in harmony with the natural cycles. 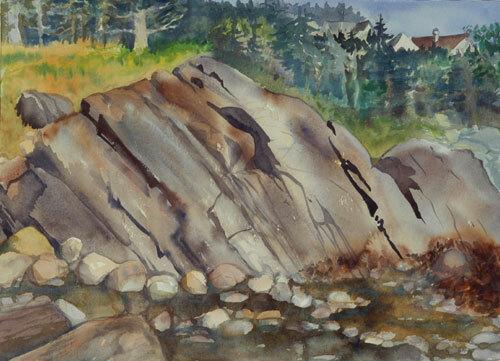 The Atlantic Ocean surrounds us and the wild beauty of this island, its wave-washed stones and its "cathedral" woods, draw me in. 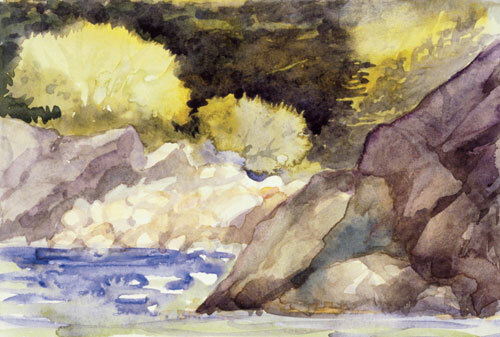 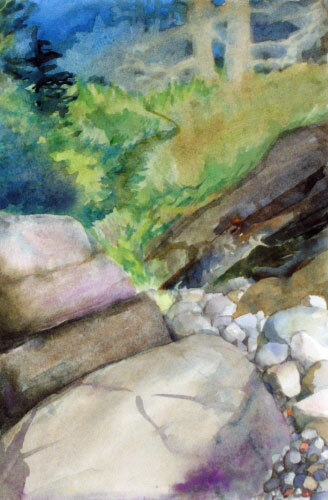 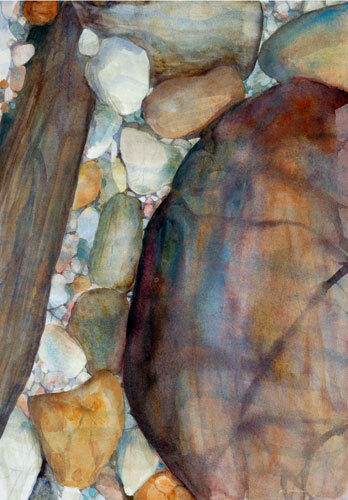 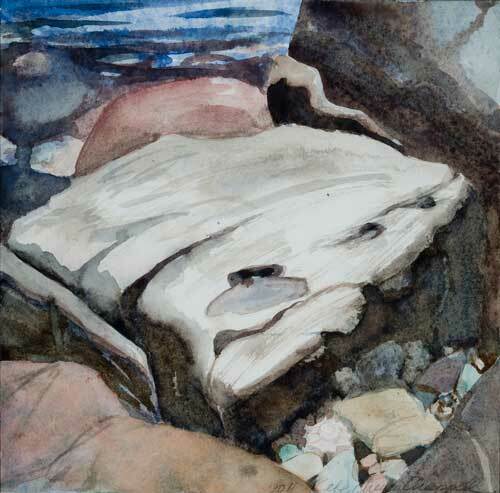 I clamber over rocks to find what is caught in the crevices along the bold shore. 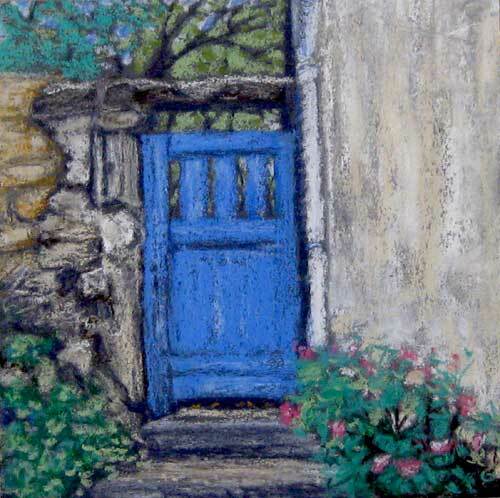 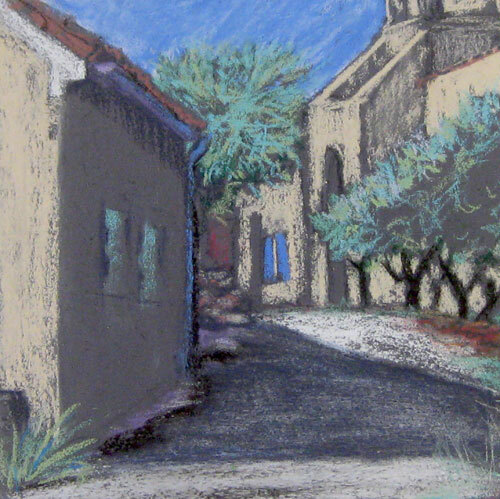 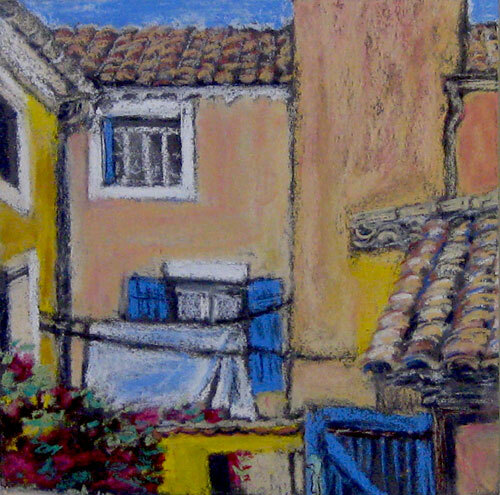 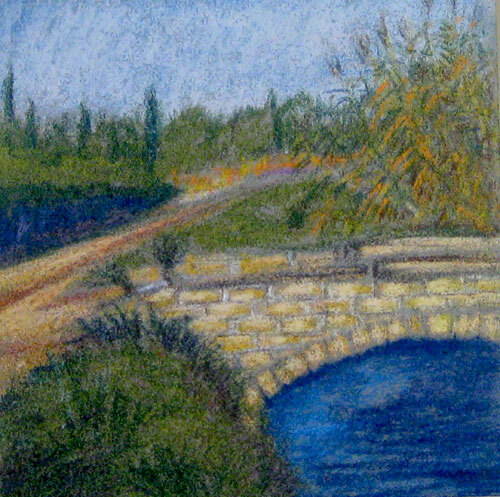 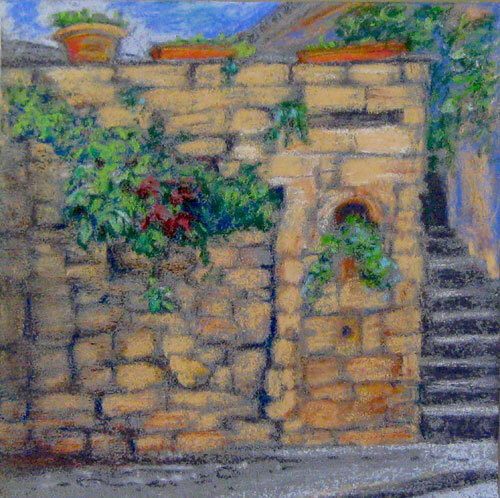 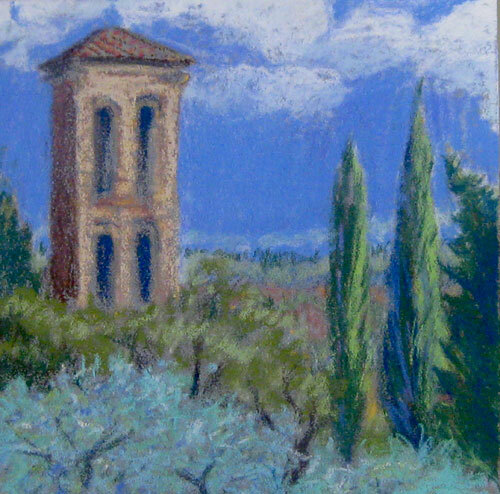 Pastel became my medium of choice when I spent time living in the Vaucluse region of France in the autumn of recent years. 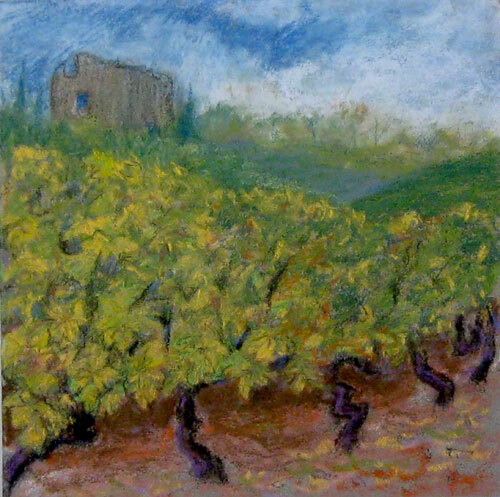 Colors so strikingly different and intense made me search for pigments from the limestone, ochres and red minerals in nearby Roussillon, where pastels are still made. 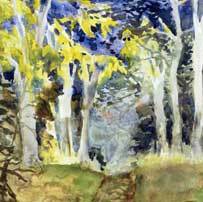 I loved the clear light of northern Provence, the tree shapes, from olive to cedar to plane, and all the hills and hidden villages near Mt. 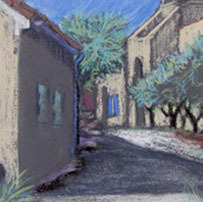 Ventoux.